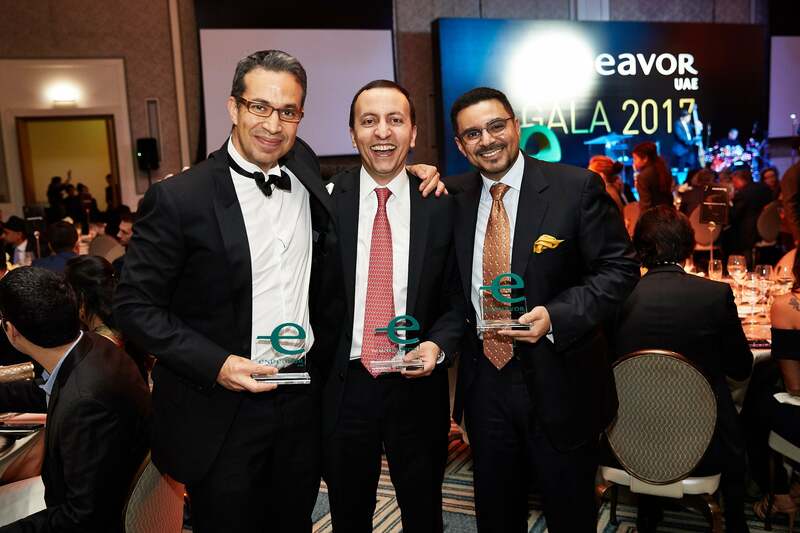 Entrepreneurs and mentors of Endeavor UAE network at the Gala. Image credit: Endeavor UAE. 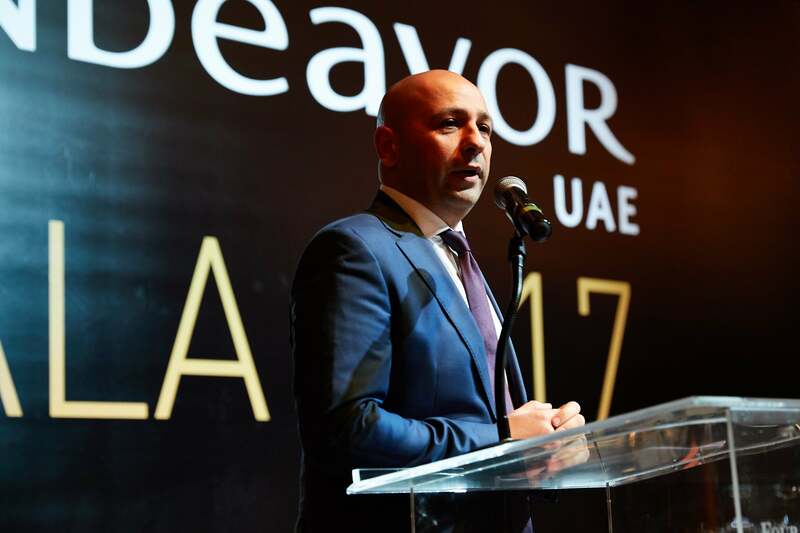 Kicked off with a keynote speech by Badr Jafar, CEO, Crescent Enterprises, and Endeavor UAE Founding Board Member, the evening saw the presence of some of the region’s well-known business leaders, many of whom are also supporters of Endeavor UAE in its efforts to support high-impact entrepreneurs. Afra Atiq, an Emirati spoken word artist and poet, also performed at the Endeavor UAE Gala 2017, and besides networking opportunities, the event recognized achievements of its member entrepreneurs, who have made a mark in the region’s business world in the four years of Endeavor UAE’s existence. Noor Shawwa, MD, Endeavor UAE. Image credit: Endeavor UAE. 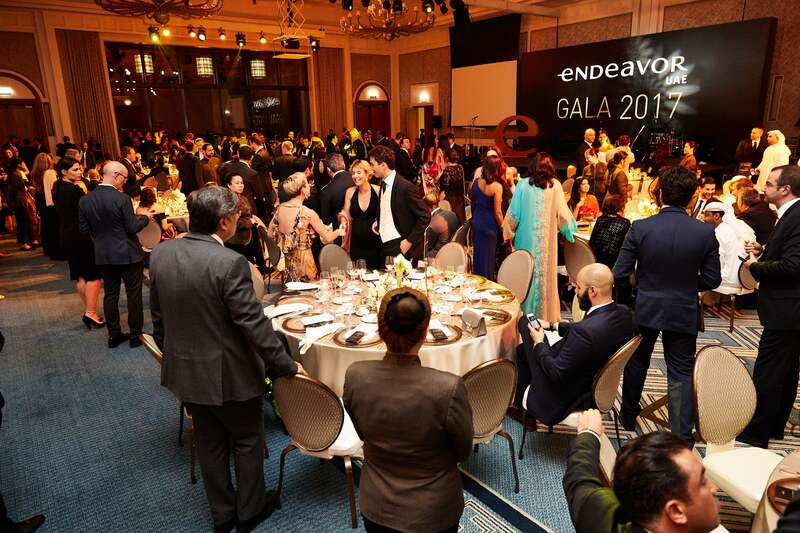 A scene from Endeavor UAE's Gala 2017. Image credit: Endeavor UAE. According to Shawwa, the turnout exceeded their expectations, and he considers it “special” that the Gala could bring together various stakeholders to interact, network, and "genuinely enjoy" being a part of the evening. “Even more impressive to see [was] how strong the UAE’s pool of high-impact entrepreneurs is, and how many leaders are willing the help them scale and succeed.”A few UAE-based businesses that are part of the Endeavor UAE network include BMB Group, Mumzworld.com, Fetchr, Balqees Honey, Propertyfinder, Dubai Desert Extreme (DDE), Ecocoast, Souqalmal.com, The Box, among many others.